Wien : Wilhelm Braumüller, 1879. Description : i-[xvi], 1-151 p., [13 l.] ; ill.: 12 pl., 12 schems., text engrs. ; 24.5 cm. Photographs : 13 collotype leaves, printed front and back. Reproductions of drawings and schematics. Photographer : Wladimir Alexandrovich Betz, 1834-1894. Subject : Brain — Brain function. Inscription on photo plates : Betz del. et photo. Each plate is paired with a schematic. English translation w/o photographs published in 1881 (New York: Wood & co.). Title of Eng. pub. : Anatomical Studies Upon Brains of Criminals: A Contribution to Anthropology, Medicine, Jurisprudence, and Psychology. Betz cells are large pyramidal neurons located within the primary motor cortex. It is strictly scientific philanthropy, and reaches to the scope of true humanizing. Comprehending as it does the psychology of our existence, it lays hold on facts most pertinent to the welfare of society, individually and collectively. In fact, it opens up a very broad and entirely neglected source of infinite study, and should awaken new research into mental phenomena. Dr. Benedikt is of opinion that an inability to restrain themselves from the repetition of a crime, notwithstanding the full appreciation of the superior power of the law, and a lack of the sentiment of wrong, though with a clear perception of it, constitute the two principal psychological characteristics of a class to which belongs more than one-half of condemned criminals. He shows deficiencies in the cerebral constitution of criminals, viz. : deficient gyrus development, and a consequent excess of fissures, which are fundamental defects. 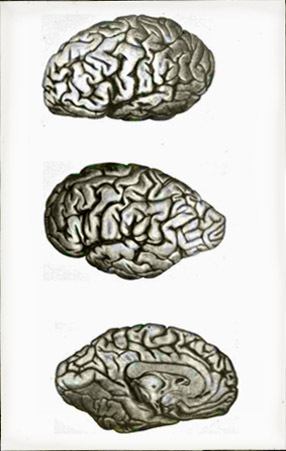 These defects are evident throughout the entire extent of the brain. The work is of great value. — from William Wood & Co. catalog, 1885. Vor Allem muss ich auch hier Herrn Professor Betz in Kiew, der mir Anreger, Leiter und Stütze zugleich war, meinen wärmsten Dank aussprechen. Nur das äusserste Vertrauen in seine Autorität un Fachkenntniss ermuthigte mich meine Studien, trotz des grossen Misstrauens, dem sie begegneten, fortzusetzen und die subjective Furcht, um eine Fehlerquelle rettungslos herumzuirren, zu bemeistern. Solche Furcht muss aber nothwendig Jeden ergreifen, so lange er mit seinen Thatsachen isolirt steht. Zudem fällt der Löwenantheil der Arbeit dem geehrten Forscher, der die Aufnahmen nach den Originalien machte und die technische Ausführung des Atlasses mit allen möglichen Opfern besorgte, anheim. — foreword.